I think the film itself is a wonderful piece of art that you should at least try to watch once. Breathless is the kind of film that sticks two fingers up to conservative film form and structure. It breaks new grounds that I have not seen attempted since in film. 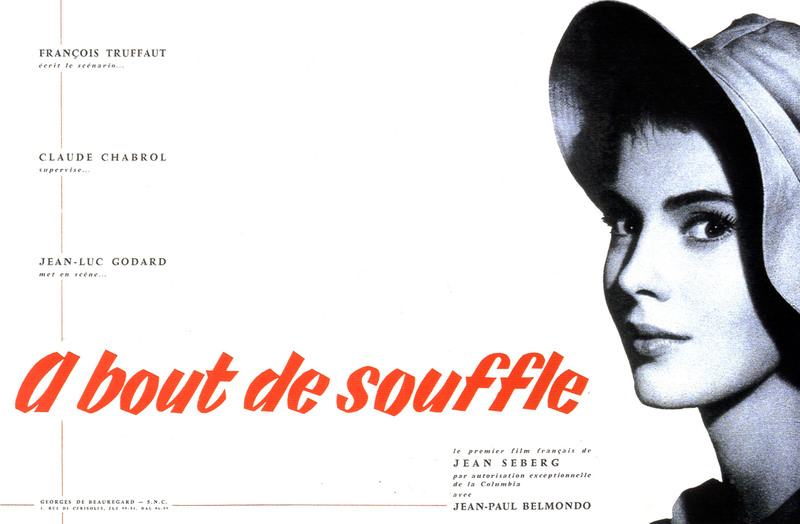 If you are easily taken out of a film then Breathless may be a challenge for you. Its the kind of film you can not question too much. If you find yourself saying “What just happened?” or “That happened too fast” then try switching your brain off for a while and let it take you along on its crazy path of unconventional madness. Some criticisms are often brought up suggesting that the film is paced too quickly. Yes it is a very fast paced film and even for me at times things are unclear or feel under explained. However, I feel the journey is so frantic and lively that at these times, before I get a chance to think about this the film as moved on to the next wonderful set piece. I think the trick with Breathless is to keep up with the film and not let it leave you behind. It seems sort of silly but the plot of this film can be boiled down to this sentence: “A young car thief kills a policeman and tries to persuade a girl to hide in Italy with him.” The story is very simple and at times feels as though there is no story. However, I think the film has lots to say about life in Paris for young liberal minded people in 1960, and partially how American culture influenced the times massively. Another criticism is with the films main male character, played by Jean-Paul Belmondo. Belmondo plays as Michel Poiccard, basically a murderer and a thief that cares little about others and has a terrible attitude toward women in general. This does not sound all that appealing and to be honest, his character (though played well) is my least favourite aspect of Breathless. However one could say that the character does get his ultimate comeuppance in the films final scene. The film is a wonderful experimental ride that I would highly recommend to anyone interested in cinema and its history. Be prepared to taken very quickly into this story and to have your preconceptions of film form twisted and mixed up until you no longer care, just enjoy the ride while it lasts. Interesting. I’ll be sure to give this a watch!